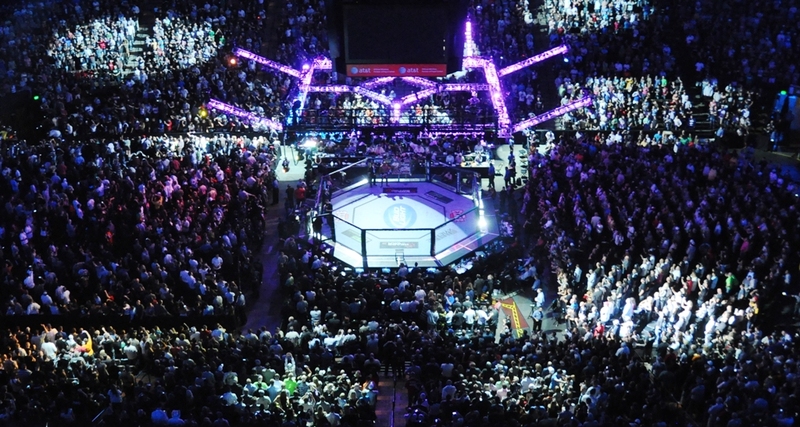 ONE FC is making its long-awaited debut in China. Its latest effort, dubbed “Dynasty of Champions,” features such familiar faces as Adrian Pang and Vincent Latoel, prospect Michal Pasternak and a four-man featherweight tournament. The headlining spot goes to Ji Xian and Song Yadong, a pair of upstart bantamweights hailing from China. Xian is the far more experienced fighter, with 13 total fights and 11 wins on his resume. “The Executioner” fights out of China Top Team and possesses a background in sanda. He is an Art of War, RUFF and Legend FC veteran. The 27-year-old lives and dies on the mat, where he has recorded all of his wins by way of submission and suffered his two defeats via some form of choke. He also claimed a gold medal at the 2011 ADCC Asia trials. 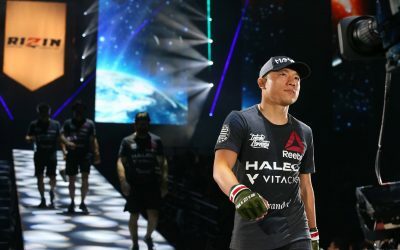 Xian has faced varying levels of competition throughout his career, with most of his victories coming against sub-.500 fighters and his two losses coming against fighters with winning marks. Yadong has made just five appearances as a mixed martial artist, but his 2013 debut was declared a no-contest. The 20-year-old trains out of the K1 gym. He tends to grind his way to decision victories rather than hunting for the finish. His lone stoppage win came via rear-naked choke. This fight will mark a significant step up from his previous foes, the best of whom now sports a 3-1 mark. Xian has excellent trip takedowns and a very smooth, flowing transition game on the ground. He can effortlessly move to mount, almost mid-takedown, and then slide to the back and right into an armbar. His transitional flow is almost too natural, which leaves him open to giving up position when he doesn’t fully secure position before attempting a submission. However, even when he’s being attacked with a submission, his counters can be impressive. He has gone for a guillotine choke in a fight as a counter to being caught in a mounted guillotine choke. And when that failed, he attempted an arm-triangle choke from his back. To put it simply, this is one aggressive grappler who is willing to attack with almost anything from almost anywhere. Yadong, meanwhile, is an opportunistic fighter who is willing to stand and has poor takedown defense. He has been lauded for his own takedown ability, but he tends to be a striker who is better at reversing his opponent and gaining top position rather than scoring with big takedowns of his own. 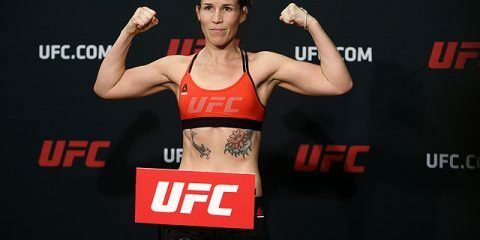 Heili Alateng was able to repeatedly plant Yadong on the mat in their RUFF 11 showdown, but Yadong threw up enough submission attempts and reversals to offset Alateng’s top control and ground-and-pound. Xian is a very clever grappler who tends to bait his opponents into giving up position. In his loss to Koji Yoshida, he was faced with a strong wrestler and clinch fighter who could stifle his offense. Yadong doesn’t have all of the same qualities Yoshida brought to the cage, but he is scrappy enough in scrambles to put up a serious fight against Xian. This could turn into a very entertaining bout full of scrambles and swings in momentum. It should land somewhere in between Xian’s fights with Yoshida and Leonard Delarmino in terms of how the 27-year-old fares. He’ll encounter some of the same problems he faced against Yoshida, but his submissions should provide him with the offensive arsenal to give Yadong the same headaches and eventual letdown that Delarmino encountered when he was eventually finished by Xian. Yadong’s tendency to give up takedowns is a big vulnerability for the young fighter in this affair. Xian can get sloppy with his transitions, but he’s more than capable of going the mount-to-back-to-armbar route or jumping to a guillotine without risking too much against Yadong. Xian’s aggressive ground game will pay off in the form of a submission victory within the first two rounds of this fight. Tsongas Center in Lowell, Mass. Titan FC will crown a featherweight champion in the headliner of its 32nd event. The men vying for the crown took two vastly different paths to the title fight. 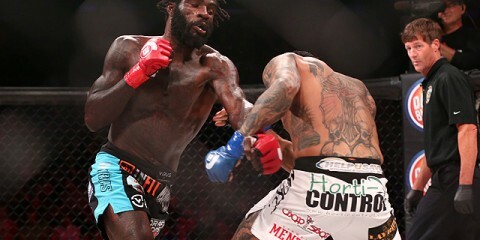 In one corner, there’s Desmond Green, a former Bellator tournament finalist who found himself out of work following his tournament final loss and a Bellator regime change. In the other corner, there’s Steven Siler, a fighter who went 5-1 through his first six UFC bouts before dropping three in a row and receiving his pink slip. Green, a high school state champion wrestler and three-time NCAA Division I qualifier, marched through the Bellator season-10 featherweight bracket after a quick exit in the season-nine tourney. 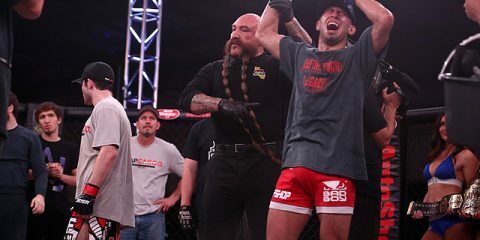 “The Predator” outworked Bellator mainstay Mike Richman and Will Martinez en route to decision victories before suffering a submission loss to Daniel Weichel in the tourney final. When Scott Coker took the Bellator reins from Bjorn Rebney, Green found himself out of a job. He signed with Titan FC and collided with former WEC champ Miguel Torres in his promotional debut. The Team Bombsquad fighter made a quick impression by scoring a 46-second knockout of Torres at Titan FC 31. 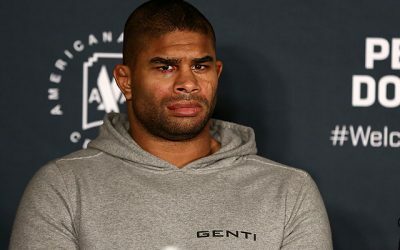 Green has three finishes by some form of knockout and one via submission, but he typically goes the distance in his wins. In his loss column, the 25-year-old has suffered two submission defeats and one loss on the scorecards. Siler will make his Titan FC debut in this championship tussle. It’s an odd entrance for a fighter on a three-fight skid, but Siler was on a steep rise in the UFC before encountering the trio of Dennis Bermudez, Rony Jason and Noad Lahat. Prior to those defeats, Siler had decisioned Cole Miller and knocked out former WEC champion Mike Brown. Siler, who trains out of MMA Lab and The Pit Elevated, has three wins by some form of knockout, but he’s much more effective on the mat, where he has notched 13 submission wins. He is a fighter whose record can be deceiving. 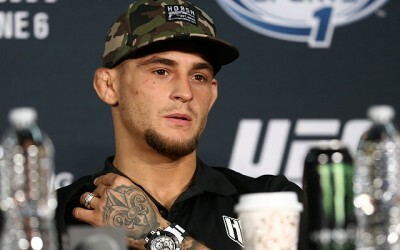 The 27-year-old went just 5-7 through his first 12 fights before everything clicked and he put together an 18-3 stretch in which his only losses came to Chad Mendes and Cole Escovedo outside of the UFC and Darren Elkins inside the Octagon. Both fighters have really sought to improve their games heading into this fight. Green has been training at the famed Tristar gym, but Firas Zahabi was not working with him for his previous bout against Torres, who has also trained at Tristar. This time, Green has had Zahabi’s help. 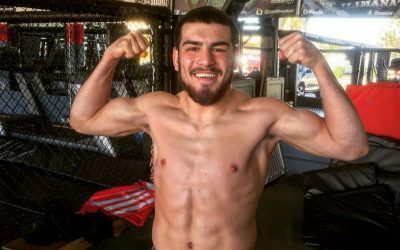 Meanwhile, Siler has trained for this fight at the Arizona-based MMA Lab, where he has enlisted the help of coach John Crouch and training partners such as former UFC champ Benson Henderson in the hopes of improving his wrestling. Siler’s resume shows numerous paths for an opponent to take in order to score a win. He’s been grinded out on the scorecards three times, submitted five times and knocked out five times. Those stoppage losses have often come quickly too, especially in the last seven years. If Siler makes it past the three-minute mark these days, he seemingly becomes impossible to finish. Unfortunately for him, Green’s focus tends to be on outpointing opponents and working toward the judges’ nod. Siler has struggled to deal with wrestlers. He has the reach to stay on the outside and pepper opponents with punches and the submission skills to give adversaries fits on the ground, but he has suffered against fighters who can engage the clinch and/or put him on his back. Lahat, Bermudez and Elkins all used their wrestling skills to neutralize and defeat Siler. With Green’s wrestling base, the strategy should be simple enough. However, Siler’s time spent working with one of the best grinding wrestlers in the business, the aforementioned Henderson, could pay off. If Siler has answers for a wrestler now that he didn’t have when he met Bermudez or Elkins, then he could make this into a truly competitive fight. Green’s previous submission losses also create a glimmer of added hope for a talented grappler like Siler. Yet, it’s Green’s wrestling that should be the difference maker here. Siler will be focused on defending takedowns and staying upright, but Green can use that to his advantage. The Bellator veteran displayed his aggressiveness and power against Torres, and he can use those striking aspects of his game to bring a quick end to this fight. Green will claim the title with an early TKO victory. Sometimes a simple system reboot can fix everything. That’s what former Bellator middleweight champion Alexander Shlemenko is certainly hoping as he competes in his homeland for the first time in more than two years. The veteran fighter, who is on a two-fight losing streak, has been paired with M-1 Challenge veteran Yasubey Enomoto for the headliner of Fight Nights: Battle of Moscow 18. Shlemenko’s two-fight skid marks the striker’s first back-to-back losses since 2006, when he was submitted by Ronaldo “Jacare” Souza and decisioned by Jose “Pele” Landi-Jons. An International Master of Sports in hand-to-hand combat and a decorated kickboxer, Shlemenko has trained out of RusFighters, the HB Ultimate Training Center and Reign MMA over the course of a career spanning 59 total fights and 50 wins. 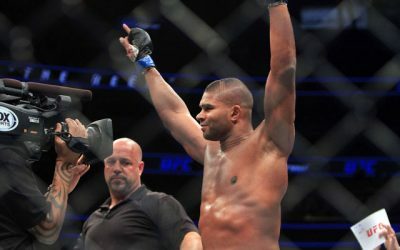 After winning the Bellator middleweight strap following Hector Lombard’s departure from the promotion, the 30-year-old made three successful defenses of the crown. Then, Bellator paired him against Tito Ortiz in a light heavyweight battle that Shlemenko lost by way of submission. He returned to middleweight to defend his title, but suffered another submission loss, this time to challenger Brandon Halsey. Prior to the losses to Ortiz and Halsey, Shlemenko had gone undefeated through his previous 13 outings and 19-1 through his last 20 fights. Enomoto is a well-rounded fighter who holds a brown belt in Brazilian Jiu-Jitsu and also has a background in Muay Thai. He is decorated in both sports, with an IKBO Thaiboxing championship and a slew of European grappling medals among the highlights of his resume. The Swede has been toiling around the European, Japanese and Russian MMA scenes since 2006, but he has struggled to put together an extensive winning streak. The former M-1 welterweight champion and Sengoku veteran has never won more than three fights in a row. Enomoto’s most recent Fight Nights appearance ended in a loss to Albert Tumenov, who vaulted to the UFC with the victory. The 31-year-old bounced back from the defeat to score a decision victory over Rustam Bogatirev to close out 2013. He has yet to fight in 2014. This bout was originally expected to take place in July, just a couple of months after the Russian’s loss to Ortiz. However, it was scrapped and rescheduled for this card. Now, Shlemenko faces even more pressure to get back into the win column. 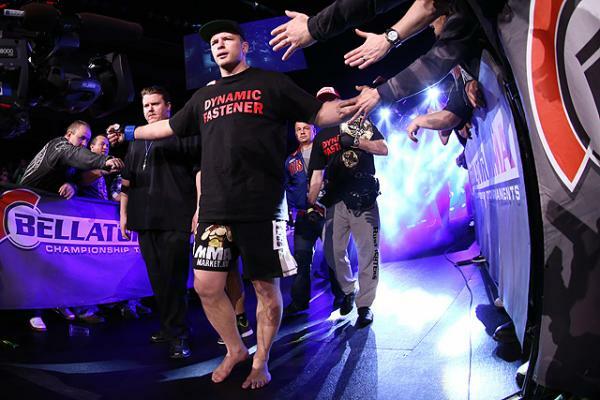 After a stellar run through Bellator’s middleweight division and a handful of Russian promotions, Shlemenko has encountered a pair of significant setbacks. 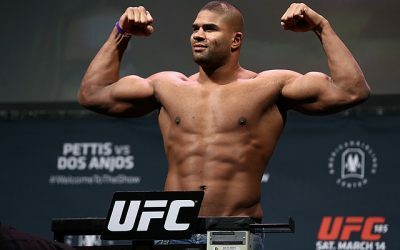 The loss to Ortiz can be written off as an ill-advised decision to accept a fight at light heavyweight, putting Shlemenko at an immediate size disadvantage against a skilled wrestler. The loss to Halsey is more troubling, though. Halsey scored a quick takedown, took the Russian’s back and finished him off within 35 seconds. The good news for Shlemenko is that Enomoto probably doesn’t have quite the takedown skills of Halsey, an NCAA Division I wrestler. The bad news is that Enomoto does have a dangerous grappling game that has led to four submission wins and contributed to an additional seven decision victories. Enomoto has a solid striking arsenal, but Shlemenko is notably easier to defeat on the mat than he is in the stand-up department. Enomoto is normally a welterweight, so he’ll be the smaller fighter in this contest. That could be a factor if Enomoto opts to hunt for takedowns. Shlemenko does have underrated wrestling and grappling skills, and a size advantage could be all he needs to neutralize any threat from his opponent. Enomoto also tends to be comfortable on his feet and doesn’t always actively seek to bring the fight to the ground. If he gets pulled into a striking showdown with the former Bellator champ, Enomoto is going to be in for a long night. 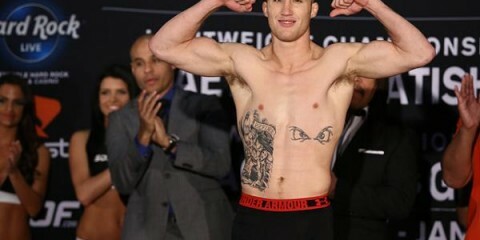 Shlemenko has the experience and skills to dominate this fight. The question is how much his recent losses have affected him. Most likely, Shlemenko is determined to get back in the win column, and he has the perfect level of opponent against which he can do exactly that. Enomoto will put up a good fight and challenge Shlemenko to perform at his best, but the Russian can test Enomoto’s chin, which failed the Swede against Tyler Stinson and the aforementioned Tumenov. The former Bellator champ should find the knockout. If he can’t, he’ll settle for outpointing Enomoto in a stand-up affair en route to the decision victory.